Samuel has a very clever Grannie who makes lots of wonderful things for him. Grannie is my mum and always been sewing, knitting and making beautiful things all my lifetime. She’s had a couple of businesses along the way including The Doll Boutique where she made collectable wax dolls which she often dressed in period costume. Mum made everything herself – she even poured the wax into the moulds to make the dolls head and limbs. She delicately painted the face and made the dolls beautiful clothes. 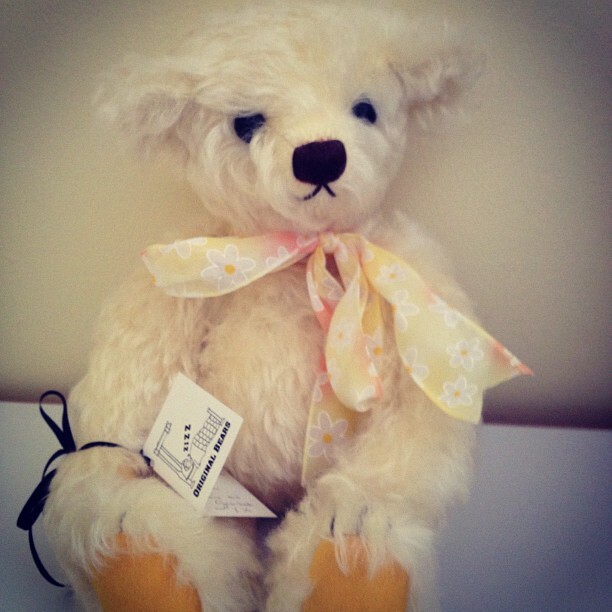 She has since moved on to making beautiful collectable teddy bears, which in my (biased) opinion could rival any Steiff bear! 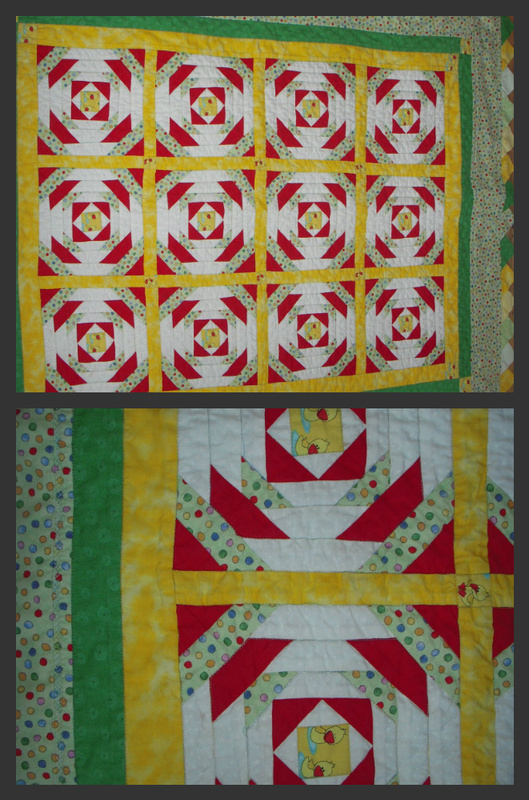 She also does a lot of knitting and her latest love is patchwork and quilting and has made many beautiful things for Samuel. 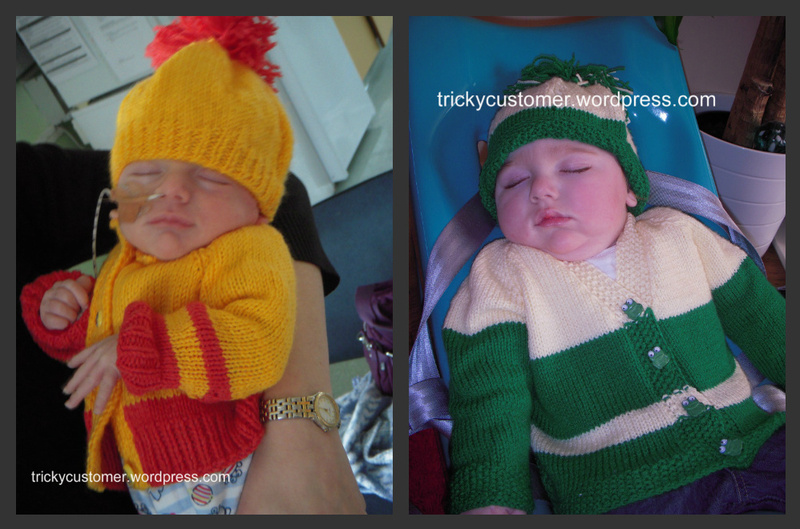 Grannie is a fantastic knitter and has a made several matching cardigans and bobble hats. 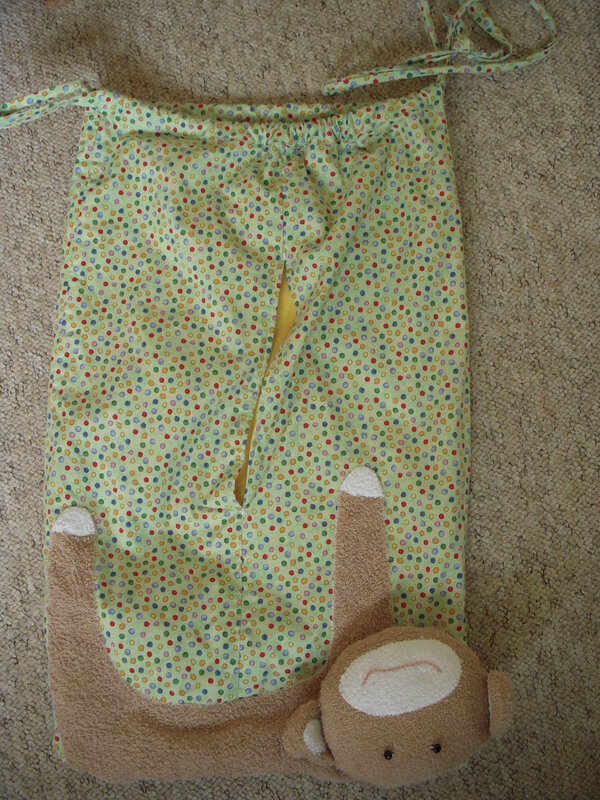 Grannie made Samuel a monkey laundry bag. 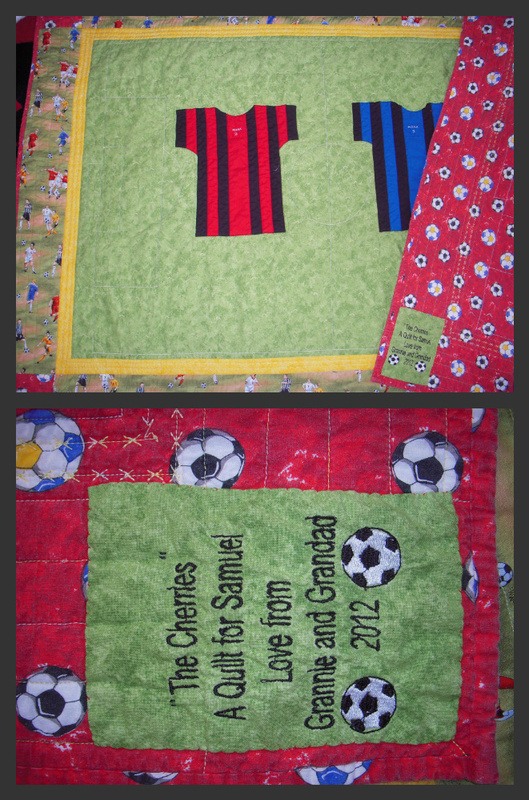 Grannie made this spectacular quilt for Samuel in honour of his dad's football team AFC Bournemouth. She has included the football pitch markings and added the club's home and away shirts. 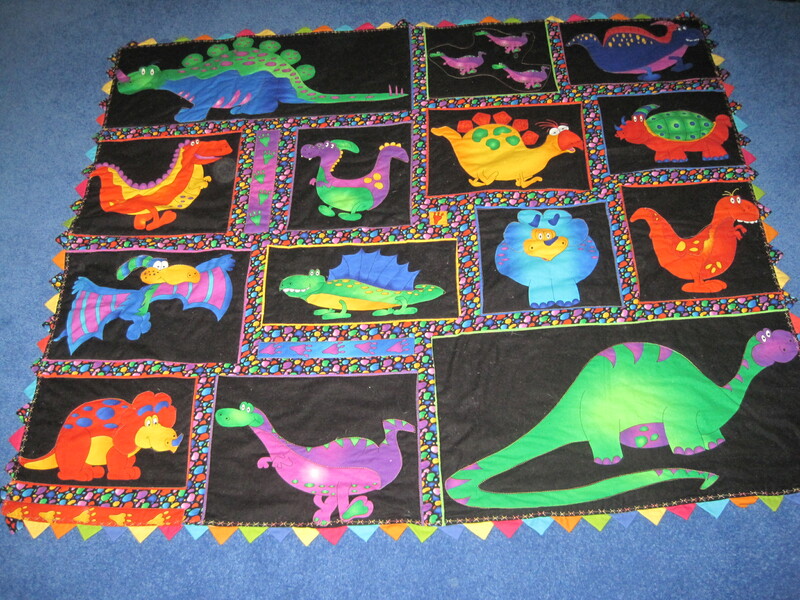 Grannie made this quilt for Samuel when he was born. It's beautiful. We call it his 'quackers quilt'. Grannie made this to keep Sam's toes warm when he's in the car. The first thing Grannie made for Samuel was a little knitted bear (which we've called Grannie Bear) to keep him company in his cot while he was in NICU. Grannie made Samuel one of her amazing bears. Well she would, wouldn't she?